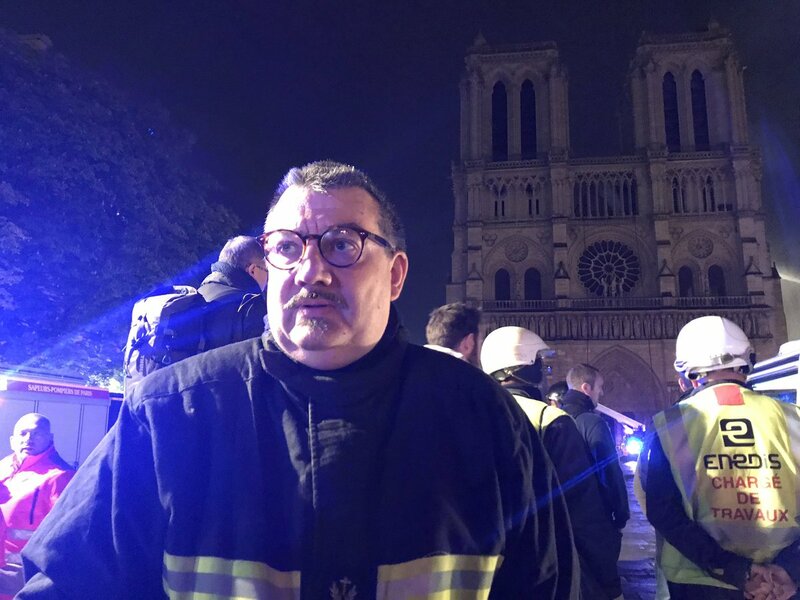 Just got back from running errands and Rose and Tom told me about the Notre Dame Cathedral burning. I've been there twice ... but am surprised at how upset I am. It's almost as if I were French ... or Catholic. I think of how crowded it is around the cathedral and hope that the fire doesn't spread. Watching the spire fall hit me hard but at least it fell down and not out to cause more damage. Fr. Fournier, chaplain of the Paris Firefighters, went with the firefighters into Notre-Dame cathedral to save the crown of thorns and the Blessed Sacrament. My hero! Thank you, Father Fournier!